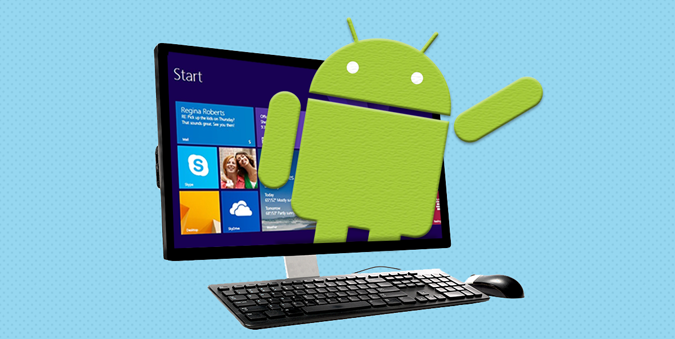 Below is the step by step guide to create and share your laptop internet connection with other wifi devices using windows 8 wifi hotspot. Now find the following , hope so that you will find a yes! Basically you just need to check that that whether a hosted network is supported by your adapter or not, if hosted network is supported then you can create a wifi hotspot to share the internet connection of your laptop, basically your laptop will act like a wifi router. Don’t close the cmd as you are going to use cmd again. Following is the command line to create the hotspot, set the password and name it as you want too. The above is the command to create the hotspot. Replace “nameOfwifiHotspot” with the desired network name and replace “yourpassword” with the desired password which will be used by the others to connect to the hotspot. Press the enter and hotspot will be created. Now you just need to start the hotspot in order to start sharing your internet connection. Now you need to start the wifi hotspot in windows, again you are going to need the cmd and the cmd must run in the administrator mode. Write the following command in the cmd to start the above created hotspot. Press enter and the hotspot will be created and will be discoverable by the other devices as well. 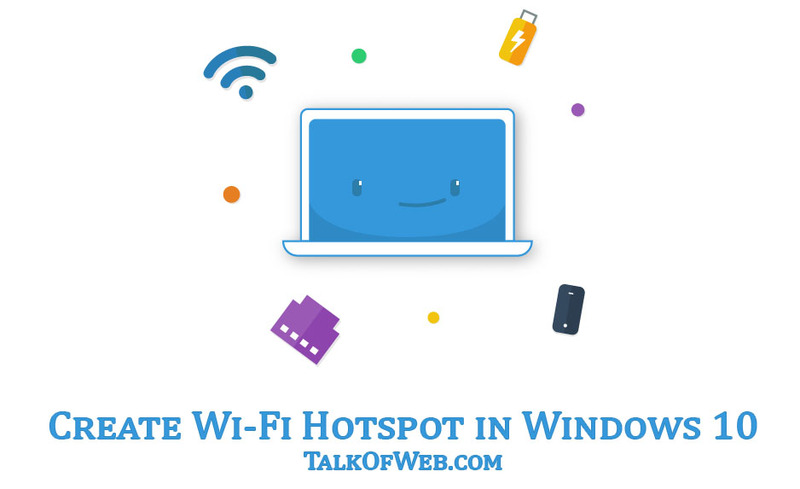 Just turn on wifi of other devices and I am sure that now, the other devices will be able to receive wifi signals from your laptop, this means you have successfully started a wifi hotspot in windows 8. All Right, everything has been done and now you only need to give your laptop’s internet connection’s access to the created hotspot, so that any user connected to the hotspot will have the internet access also. 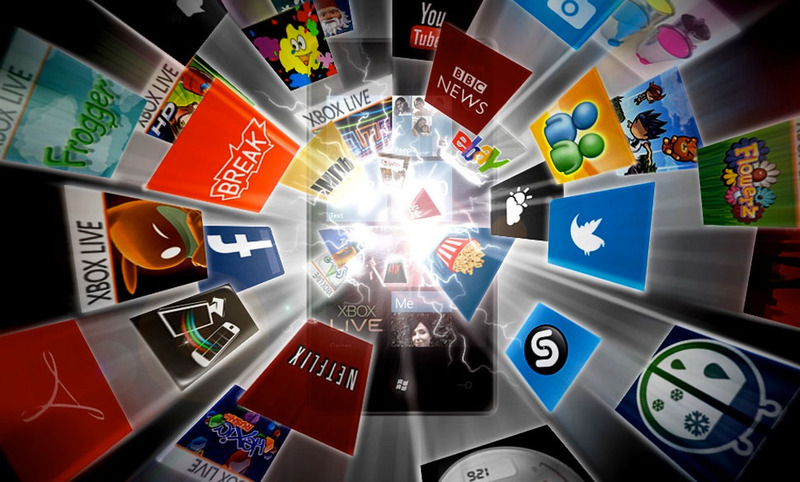 For this reason you will need to open the windows networking and sharing center. Open up the network and sharing center, and then go to “Change adapter settings” on the top left pane. Click that to open. Here you will see your created hotspot connection plus the connection which you want to be shared with the hotspot for the internet sharing. The created hotspot connection has the star with the name (It actually shows the virtual adapter which spread wifi signals from your laptop to other devices, you need to give this virtual adpater the internet access). You need to open the properties of the connection which you want to be shared with the hotspot. 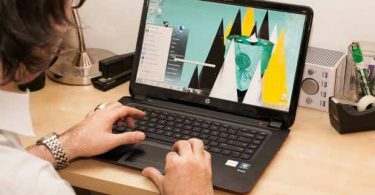 Right click and open the properties of the connection which has the internet access and is the original internet connection of the laptop, whether it’s a dialup, local area network or anything like that. 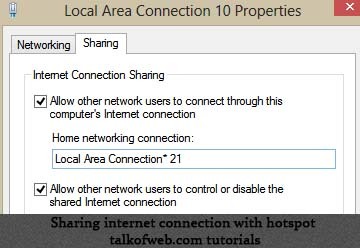 Go to the sharing tab in the properties and then tick the “Allow other network users to connect through this pc internet connection” and in the drop down below, select the hotspot connection which is “Local Area connection *21” in my case and then hit ok. Re-dial the connection or else reconnect the internet connection if needed. That was it and you are done and this is how to create wifi hotspot in windows 8, even it works with windows 7, the password to connect with the hotspot is the same which you used while setting up hotspot in the cmd. If you can’t still share the internet then reason are that firewall or an antivirus is causing the problem, try disabling the firewall if you trust the person with whom you are sharing the hotspot or else try adding an exception int he firewall or antivirus. A lot of users have asked this question in comments, about starting the hotspot once the laptop is turned off and turned on again, so here is this guide: Relaunch Windows 8 Wifi Hotspot on Each Restart Without Creating a New One! Using the above guide it will not be required by you to create wifi hotspot in windows 8 every time you start your laptop, instead you can use a set of commands which can be saved in a file to start the wifi hotspot in windows 8, those set of commands can be automatically executed once you run the file. You can also use softwares to create wifi hotspot. 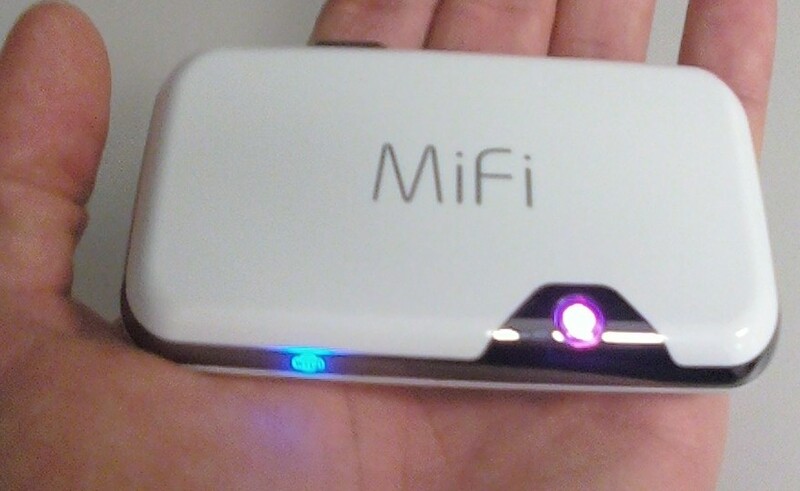 Find out some amazing free softwares to create Wi-Fi hotspot. But i use connectify hotspot lite version its working good. i also have cr*ck version of connectify hotspot but its create an error restart again and again my pc. If connectify is working fine then that is good! In my home network connection box i could not change the name to the new hosted network . The name already appears as WI-FI and it cannot be erased. i ha got d same problem… can anyone help wit it??? you dont need to change it, there should be another connection named local area connection* , with star , change setting for it. plz some one tell me how to enable hot spot wifi.. by mistake i disable it now i dnt know how to enable it kindly tell me plzz. You need to follow all the steps again and make sure the ssid and Password will be same! I have created the hotspot but hav’nt tried out with my windows phone because I am very much eager to leave a comment first . Though I will try ot out weather it’s working or not i let you know but let me say that I am very happy to have found your site . I am really amazed after knowing this method of creating hotspot through CMD. I have been able to create the hotspot and use it on my windows8 dell laptop. Thanks for help. this is usual with connectify in windows 8. it work in windows 7. no way in windows 8. Go to your network and sharing center and there open up “Change adapter settings” just after you run the command netsh start wlan hostednetwork and there, you will see your hotspot connection with a star * that is what I called “created hotspot connection”and the other connection will be your own internet connection adapter. Hope this makes sense now! I have done this all na but in last after finding the hotspot when I starts internet, its nt giving speed na..
Hey, just one question: after restarting laptop it should stay or not? I still cannot understand this, because sometimes after restart its stays sometimes not. Maybe it would be possible to do something more to make hotspot permanent? I wasn’t able to figure it out that how one can make it permanent, I know after restart it vanishes and you need to again create a new hotspot, it was an option in windows 7 to make it permanent. I’ll figure it out and will post solution soon if I find one. Thank You for dropping by! Maybe it is possible to create script which would create hotspot automatically? Yes! It is possible, I was thinking the same. You can create a batch file for that! how to create a batch file to hv a parmanent use of hotspot???? Copy all the code, and then save it as .bat I guess,that was the extension, or if you have already created the hotspot using the command line then you just need the starting command for the hotspot to start, keep that command in the .bat file and every time to start the hotspot just run that file with admin access… If you don’t get it reply over this comment and I shall create another post for it…! DUDE!! YOU ARE GENIUS!!! THANKS A LOT!! THIS IS IN CAPITALS BECAUSE YES I AM SHOUTING!!!!! For those who want to make it permanent create a .bat file. this is how it works. 3. When saving the file change default format .txt to .bat. In the next row “save type as” change text document to all file types. 4. To run the file. Right click and run as administrator. Thank you kingofjedi for posting this. I hope it works. I will be trying this tomorrow!!! Hello, Thanks for the fix, it does work but you need to right click it on desktop to “Run as administrator” and then it will work. my problem now is on my nexus 7 tablet when I try to connect to the hotspot it won’t authenticate it, Any Ideas?? Thanks. reply me by mail as soon as possible…please.. Thanks ..really helped..This will really help, a step by step tutorial..
it was good until i close that CMD but after closing it my internet shows limited access. what problem ?? Which antivirus are you using? Try disabling the firewall and other things, which may block your new connection thinking it miscellaneous and then try again hotspot will work. Without any details I can’t help you solve the problem, since the same way worked for me and a lot of users out there, You main connection turns to limited one, are you using any static ip’s or anything like that? I mean do you specify ip for your lan connection? and are you at lan? yes sir i am at lan and i got same problem here “the group of resources is not in the correct state to perform the requested operation”. Have you used the command “netsh wlan start hostednetwork” because that will be used to start your hotspot. But as you have stated that you have shared your regular internet connection with your created hotspot then means you have started the network. Ok, try to disable your antivirus in some cases antivirus blocks the new connection from broadcasting. plz help me…when i enabled wifi hotspot…it’s icon was there in the adapter settings….but when i opened thats properties-share-tik that ‘allow other network users to use…’ but my that profile wasn’t in the list. there was only the option for ‘wifi’ and ‘ethernet’. so i then checked applying both, but neither worked. after that i disabled it. how can i delete hosted network via cmd? netsh wlan stop hostednetwork and you are done! Thank you for sharing a great staff. I do all of the process as per your configuration. In my mobile phone i get the WiFi network. but by the network no website or application is opening in mobile phone. what can I do right now? It shows ‘connection established’. Everything is completed successfully but still I’m not getting internet access on my Windows Phone. Could You please help? Check your private network firewall. i turned it off and it worked straight away. Hi, I did the step-by-step and it didn’t work at first. Then I disabled the MacAfee firewall on my laptop and now the tethering actually works! Anyone know how I can get this to work without exposing my entire laptop to intruders? I have done as said..and everythings connected but still there is no internet access in my android phone and itouch. I am using windows 8 laptop with Ethernet connection and turned it to hotspot. I am trying to make my windows 8 laptop connected to ethernet into hotspot and connect it to other wi fi devices. I did exactly how it is said. And it shows now the hotspot wifi is connected but there is no internet access though. Please help. I have exactly the same probleme. You havn’t probably shared your internet connection with that hotspot connection. Go to the sharing tab of your internet connection and then in the drop down select the hotspot connection with a star! I am not seeing any drop down menu options. All I see if “wi-fi” which is locked it seems, and I am unable to change it. Please help! I realized the network adapter won’t say wi-fi as the name of my adapter was intel centrino smmin smmin..
Fiddled around and it works suddenly! Thanks anyway, but i would like to know what happened!? first of all thanks for the tutorial..
secondly i got some issue with before tht it was working very fine. when i putting this command “netsh wlan start hostednetwork”. Are you sure you are in the admin mode of cmd? second try to google your problem, with that error pasted in the search tab that will help you. I have tried everything more than one way and still don’t get the internet connection. Sometimes, I get errors unable to set connection or something like that. When I go to share, it refuses to allow other network users to connect. I can’t get it started. this problem makes me raise another questions. how many versions of windows 8 used in the market and which ones work and which gives you errors? I really need to know, I have some issues for real. It worked onces on my iphone 4 for like 20 minutes, and then, kept giving me errors. can anyone give me detailed guidelines on how to fix or repair this issue? I did the whole process and came till the last step and during the last step when we allow other devices to use the internet access, i.e. Go to the sharing tab in the properties and then tick the “Allow other network users to connect through this pc internet connection” and in the drop down below, select the hotspot connection which is “Local Area connection *21” in my case and then hit ok. This part, I’m not able to change it to the required local area connection thing.. i Just get the spot filled with Wi-fi. What do I do? First be sure that you got the connection with the star under the change adapter settings. Did you get that? Anything like “Local Area Connection *” with a star I mean to say! if you got that then you must have that in the drop down menu of that specific connection which you want to share! i-e your main internet connection. I did get the “Local Area Connection *” (with the star) but somehow I didn’t get the drop. hotspot is created but the device that I am trying to connect fails to obtain the IP address. I’m having trouble on the last step. When I open the “Properties” of my Ethernet connection, I cannot change the “Home networking connection” drop down menu. The only option is “Wi-Fi” so I can’t change it to the “Local Area Connection*.” And as a result, I cannot get the hotspot to work. Any suggestions of what I’m doing wrong? Thanks. Well, can’t suggest a solution in this case because every adapter connection created in the windows shows up under the sharing tab of the main internet connection which is “Home networking connection” in your case! You must run the CMD in the administrator mode! Please do read the tutorial in detail! I already set up the network according your instructions, I managed to connect my devices (I used a iPad Mini, an iPod Touch, an Android, and a BlackBerry 10 to test), but still, these devices can’t browse the internet, I already turn off the firewall too. I don’t install any antivirus software. Do you have any suggestions why it is happening, and what to do? Your hotspot must show the internet access under the networking and sharing settings! it isnt showing in mine..it says no internet access!! Does anyone got solution to this problem. I am also able to do all the things including connecting the hotspot from my Samsung Note-II, except it doesn’t browse internet. btw..any trick for setting up hotspot in windows xp without a router..?? 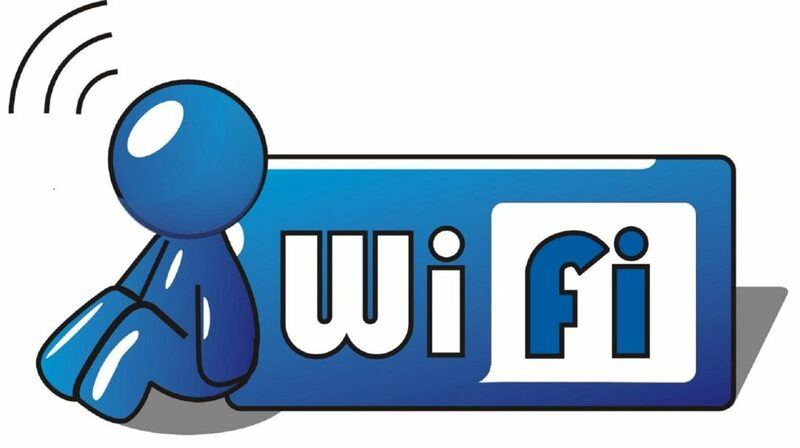 There are softwares available which can help you to setup a wifi hotspot on your wifi adapter! what does this mean? the only thing I got from your broken English is that there is no solution to this. Please read the post in detail, at the end of the post there is an update which just enable one to solve that specific problem! Awesome Dude..! Thanx a lot..btw it isnt cnncting on my phone!! What about that..?? hey my sharing tab is not appearing, what to do, pls reply? everything goes right even my laptop starts hotspoting. Other devices connection is also established but we are not able to browse internet. And in other laptops it states limited connectivity. I read your post in detail and also shared my internet connection over Local area connection*13 but still we are not able to browse internet from other devices. Even if I turned my firewall off but still its not working. in it says no internet connectivity. Thanks in advance. The tutorial is really good and helpful. Everything is okay. My phone is also getting it. But every time I tried to get connected it is showing password incorrect. I have tried so many times. Also I have created it so many times with new password. But again and again it is showing password incorrect. What can I do now? Please please please help me. Anyway I am using Nokia Lumia 520. Bro check whether the ip address n gateway of your lap n phone are same … if not so , just assign same values for them …. hello..! I can’t access it. please help me. While writing ‘netsh wlan start hostednetwork’ to start, it shows = The hosted network couldn’t be started. Everything up to this point has worked, except after ive hit enter this pops up..
“Hotspot” is Created …………and also getting it on my phone (Nokia Lumia 520) but can’t connect …..
netsh wlan start hostednetwork , after pressing enter , i got this msg in command prompt , “the hosted network couldn’t be started the group or resource is not in correct state to perform the requested operation”,,plz help me out this !!!!! It works really good, BUT everytime that I turn off and then on again my PC I have to go back to the CMD adm mode and type: “netsh wlan start hostednetwork” again to make it discoverable again. Is there a way to turn on my PC and make it starts automatically? I have created the hotspot but I cannot start it through command prompt. it says that the group or resource is not in correct state to perform the requested operation. what should I do .I have tried third party software but they are also not working and showing same message. please reply immediately .Please help. Thanks very much, all working fine! hello, i desable that local are connection, n now m not getting how to bring it back, becouse of it “The hosted network couldn’t be started. giving me this error ….so wat to do now, please help…!!!! i got internet access in network and sharing center but still i can’t browse internet from a tablet which i connected to the hosted network. Can you help? I’m undergoing the same issue, & it’s annoying! … then why can’t I still access internet!? i have a different problem than others. the connection which i want to share is secured by cyberoam( u know what it is ). the whole process have gone smoothly. but when i connect my phone to the connection, it freezes on “obtaining ip address”.. and then the connection terminates and reconnects and again that obtaining ip message comes up..
can u plz suggest an ans to this problem ? plz help ..my pc home network is”wifi” and ,,,,,,,, ip address will change during sharing internet how i can connect it…. Hi, My device has connected to my hotspot, but it cannot access the internet. My firewall appears to have let the connection through as well, what am i doing wrong?? i have down all steps as suggested here but at the end i did not find sharing option in property. pls suggest me what to do now…….. I connect my pc to a WiFi network, then can i use my pc as hotspot? Or i need to have the ethernet / lan connection only? Thanks a lot pal..it worked!! i managed to connect 4 android devices plus blackberry. working great. can i also add more users and i need to monitor usage. Firstly click on the left icon of that screen on ur phone i.e. wi fi symbol and click on forget connection then again let the phone search the wi fi connection. whenever I connect my phone with this network it hang on “obtaining IP address”. Thanks a lot, the sharing worked after just the dos commands. To fix that go to Devide Manager (win-key + x + m on windows 8), then open the network adapters tree , right click button on Microsoft Hosted Network Virtual Adapter and click on enable. Try now with the command netsh wlan start hostednetwork with admin privileges. It should work. Note: If you don’t see the network adapter with name ‘Microsoft Hosted Network Virtual Adapter’ try on menu -> view -> show hidden devices in the Device Manager window. thanks it works on win 8.
any way to make it permanant? I think I’m having the same problem as a lot of people. My wi-fi hotspot is setup, but it doesn’t allow other devices to connect. My iPod simply stays in a connection loop where it tries to connect, but nothing happens. It eventually gives up and tries again, and I’m assuming it’s not finding an IP address. It’d be really awesome if you replied to this, man. I can’t make up to the 3rd topic of the third step. why do you think so? DUDE!!!! THANK YOU!!!! UR AWESOME!!! THANKS BRO!!! After I try to start the hosted network, it says ‘The hosted network coudn’t be started. The group or resources isn’t in the correct state to perform the requested operation’. is there any way to make hotspot permanent because it disappears when i restart my laptop….. help ? Worked like a charm on a Samsung ultrabook. Thanks dude! i have followed all steps, connection setup was successful, wifi name is showing in other laptop but it is showing limited connection ??? everything worked real nice like, but my ps3 won’t connect to it ‘The attempt to obtain an IP address timed out’ Why is this happening to me? I really have to sync my trophy info for GTA V! Im getting an error that says “an error occurred while Internet connection sharing was being enabled. Internet connection sharing cannot be enabled. A LAN connection is already configured with the ip address that is required for automatic ip addressing”. It comes up when I try and enable the sharing with my local area connection 14*. Any help would be appreciated. Thanks! i m nt finding any network adapter with name wifi adapter… what should i do..??? plz helpme out..
i m nt finding the word “wifi adapter” in th option of network adapter..
once I disable hosted network!!!! but after 4 days it doesnt work! it not say any error but it doesnt have internet conection! Right click te CMD and run that in Administrator Mode! the connection is recognised but it shows authentication problem on my mobile……please help!!!! sir with the help of your commands i got success in creating wifi hot spot and my phone also gets connected to it but internet is not running on my phone. Worked perfectly… eazy guide. thanks. by the way i wanna know how to disable it back to normal? There is a command! netsh wlan stop hostednetwork! Thanks for the very descriptive and intuitive instructions. Any move ahead with making it a more permanent solution? Can a script be written to do all the commands at once? It has worked for me.. Yippee!!! Hi, i have done hotspot correctly and its working. but when connected to it using my android phone internet isnt working. my network have proxy.. is that can be a problem? my internet shows:The hosted network couldnt be started. hotspot is formed but it is showing no internet access what to do? I disabled my hotspot connection. How can I get it to pop up and become active again? Very usefull! It worked! Thanks! for me everything works fine for first time. after i create wifi hotspot, i try to connect via mobile phone, but i can’t browsin from mobile phone. i was try to off antivirus n firewall but result is the same. anyone help me to resolve this problem ? done everything to step, but still won’t connect to my iPad. I can see the SSID and enter the key, but won’t connect. the one I just created (Local Area Connection * 11) is not seen on the list. I’ve created the hotspot like a week ago and suddenly it stopped working. On the device that’s receiving the wifi just keeps authenticating and won’t connect. How can I make it work again? i enabled hotspot. all done but while sharing my ether-net is not allowing me to change the name of my created network. its default as “wi-fi” . i shared my network through dongle, worked perfectly but how to do it through ethernet? “The hostednetwork couldn’t be started. the group or resource is not in the correct state to perform the request operation”. hey thaks for d tutorial but…in ma phone it say s”authenticatiing” for looonggg and never gets connected why is that so ? I Set up may hotspot Fine , other device can search my SSID but when they try to connect ,it always stuck on obtaining IP Address! Under Network sharing it shows no INTERNET ACCESS! When I diagnose the problem , Windows found it coz of Invalid IP address. The Very First Time When I went to Sharing Option and check the option : ALLOW OTHER NETWORK TO CONNECT THRU THIS INTERNET CONNECTION. It ask to me to select wifi or Ethernet. How Can I Fix This???????? Hello, everything worked fine on my Fujitsu Windows 8 laptop when setting up the shared connection but one problem… The shared connection only allows one other computer to connect through it otherwise when two are trying to connect, none of them get internet connection? Why is this? It is to do with the wifi adapter in the main laptop that the internet is sharing or something? I look forward to hearing from you. while connecting to hot-spot with my android phone i am getting “Authentication problem” can you please help me with this….. It worked like a charm !! thanks a lot mate it really helped me.. was trying so many stupid methods… thnks a lot and keep up the good work.. cheers.. The procedure worked for me. But as it got disconnected on restarting my laptop, I again started the host network, it started fine. But now my mobile is not able to connect to this hosted network, it is only showing this hosted network in the list, but not able to connect. It says “disabled” before the name of the network. Its connected but internet is not running in my phone. help me. i disable the created hosted network,,,after that i am trying to create another one it shows error…please help.. When I have to select the “local area connection *12” in the drop down menu of original network “ethernet”, I don’t see a drop down menu. all it says is Wi-fi. I am unable to change that. Please help. I seem to have the same problem some others have mentioned. Everything is set up correctly but when I try to connect from my android phone, there is an infinite loop of obtaining IP address then authenticating then saved, secured with WAP2 and then repeats all over again. Since many users have been able to connect successfully, I am assuming there is a solution to this problem. Anyone who can please suggest a possible solution? thanks a lot for the above settings. every time i start my computer.i hv 2 setup it again…can u tell me hw 2 set it permanent..?? I have followed the steps provided, and connection was established successfully, however I am not able to access the internet from my phone. please help…. Hi i have tried above steps,wifi hotspot has bees created, but its not connection on my cell phone , it stuck on Obtaining IP Address. My Lumia-520 is unable to connect to the wifi hotspot……it shows that password is incorrect…..but evey time i had given the correct password…..so how can i connect this???? iits working but while connecting on other device its showing authentication problem pls help…. Please help me any one of you , i created hosted network hot spot successfully even i could find created hot spot Wifi in my anther laptop it connects for a while about 2 to 3 mints but after that in gets disconnected. same issue connect and disconnect repeatedly. it works but i can’t use it in my mobile……..somebody pls help me……………………..
i want to try again cause I accidentlly pressed disable while I was trying to press properties but when i do try again it say’s that it can’t is it possible to make it work again? Thanks buddy, works like a charm! i just observe.. if i restart the pc. the wifi internet i created will also be gone, i have to go back to the process again. is this thing not permanent? You tips were very usefull and 100% functional, but as posted earlier is there any solution discovered or created to make this hotspot permanent? For the time being i am hibernating my system since my younger brother cannot follow the steps again to create hotspot. hi, I am using Reliance netconnect and I was able to create as it told. I was even able to find and connect in my Samsung Note 3. But I cannot browse anything, The connection is established and shows WIFI connected. But I cannot browse anything, no mails , no youtube nothing !!! Pls help what could be problem. I am using Dell Inspirion with win 8 in my laptop. I even tried with connectify hotspot. its the same, I am able to find and connect to WIFI but cannot browse anything. I am using windows 8. Please help me. thanks it really helped ……. I did all the procedures right already, and i have internet connection to the new AP i created, but the problem is, I cannot connect my other devices to the new hotspot, seems like, wrong passwords. but i did it many times already, changing passwords but still I cant connect. Please help..
Why my WI – FI don’t connect??? Tried this, and it worked like magic! Very good tutorial indeed, but creating hotspots has its own disadvantages, so i guess we just have to live with it.. Thanks.. everything is working very well … when I restart I have to configure again … is there any way to make it permanent..
Works perfectly alright. Thnx a lot. It worked for me. thanks for the guidelines. Please, What is the hotspots coverage range, and what’s its maximum device connection , How many device can connect at a time? What a good article…! It helped me to find my solution… Thank you very much for that…..! i have working with win8.1. i created a hotspot by using ‘virtual router plus’ also my mobile phone also connected with this hotspot successfully. But, when I goes to the sharing tab in the properties and then tick the “Allow other network users to connect through this pc internet connection”, NO drop down will shown below. Please help me so that i can access internet on my mobile through laptop. YOU ARE A GENIUS. THANK YOU!!!! Hello is there a way to make this permanent yet?? The issue of cmd for creating hotspot is well described here>http://sarathrajj.blogspot.in/ All topics covered. Works just fine…thnx a lot…neat little trick. Are you sure you have read the post completely? There is a link provided in the end of the post to fix that issue! i had completed everything. when i am enabling internet sharing….i is giving the following message…..
“An error occured while Internet Connections Sharing was being enabled. You should look for what password you have given for the hotspot! ‘a device attached to the system is not functioning’. I read ur blog also, but only the error message is there, i couldnt find the solution to it. It will be very useful if anyone can plz help. Have you tried uninstalling and re installing the device again? when i put the command “netsh wlan start hostednetwork” it gives me again and again the same response “The wireless area network is powered down and doesn’t support the requested operation”. Before that command all things are same as per your instruction but after this command this type of problem occured. How can i fix it ? You should read that troubleshooting post, the link is given at the end of this article. i’ve done all cmd process and network sharing.In mobile wifi is showing name of my internet connection but after connecting sometime show error not response from your wifi network. Hi, i ve created and connected my smartphone to the wifi…but there is no internet access on the phone.please help me.I used a MTS datacard to connect internet with my laptop. thanks for saving me!!!! you guys are genius! Thanks a lot for the tutorial..worked like a charm to me !!!! i made my computer hotspot but i want to turn it off!!! in the last stage if connecting the hotspot and the internet connection of my pc ,is creating an error , , ,what should i do? I’m successfully follow all the steps to make my laptop as Hotspot, also my lumia 900 mobile is also able to find the my network. But when I’m trying to connect it, it is showing “Connection un-successfull”. any help is appreciable. I want to use my data card net to be used for mobile, I got connected through hotspot but when I try to use net on mobile msg flashing on screen is “SERVICE UNAVAILABLE”, kindly guide me how do I use internet. I accidently disabled the hotspot…. now i am unable to find it,,, where i can find it? i created the wifi hotspot and is working well, but please can u tell me how can i change the passord to protect it against my friends coz some of them knows the password.. please help..
i havea laptop with windows 8 and my Mobile Note 3…i was using Dialup connection in italy. i have done what every you suggested above and i am able to connect from my mobile to wifi defined above. but i am not getting internet to my mobile. can you suggest ? firewall disabled in windows, in my dialup network properties i clikced to share with the LAN 13*as u suggested by no luck. Hey I’ve been trying this on a few laptops running Windows 8 but its not working. I’m using a tata docomo 3g usb dongle to connect to the internet and am able to create a wifi hotspot but when i connect my phone (samsung galaxy s4) or ipad mini to the network they show connected but don’t have internet working. I am using Avira antivirus software but i’ve disabled the firewall and it still doesn’t work. I have no idea what else to do. Please let me know how to fix this. Can you please help me how can i reinstall it ?? Is it true that when you restart your computer, the wifi hotspot you created will be gone and you will be required to remake it? Just create a batch file, and put the command in their “Netsh wlan start hosted network” and every time you restart your computer, just run that batch file with administrator privileges! ok, A lot of people asked me this question I am going to make a post over it! no need. just google “virtual router manager 1.0” its free and takes less than 60 seconds to set up and its easy and noobie proof. windows hotspot stuff is waste of complete time. I use wondows 8 with virtual router manager 1.0 app. I have downloaded and installed the same. Thanks for your information. It is very useful and easy to use. I have configured the Wi-Fi hotspot to my lap top and works fine. But the problem is each time when I start the PC I need to do the same procedure. Any permanent solution to keep the hotspot active? In the post above I have added the way you can do it, Follow the Procedure! I created everything successfully, up to the part where I want to share. My host connection (ethernet cable) cannot find the hotspot I made in the drop down list. I’m using windows 8 and trying to connect it to my iphone. 5. It found the connection and I put in my defined password,but it’s having trouble to completely connect to the created hotspot. what might be the problem?? Sir it worked for me until end. I connected my google nexus 5 to it but it says limited connection. The iinternet in my laptop works fine. Please help me? what if i my network connection is from usb modem/dongle there is no option in home network connection for my device. how can i make sure no one else is using my network? and how can i remove them? what if i wanted to change the SSID name? how would i do that? Using tutorial i can make my laptops as hotpot but unable to internet is not sharing with my iPhone. Can you please help me out with it. I followed the steps as mentioned. The hosted network connection is showing “no net work access”. everything is done perfectly! but after i connected to the wifi created on my phone,i couldn’t access the new or browse anything!please help! i tried disabling the firewal,no effect! I have followed all the instructions mentioned and everything seems to working well and good. But the problem is I can’t connect my sony smartphone whereas I can connect my BlackBerry. It says authentication problem whenever I try to connect it. tnx for d technique,,d device i need to use is showing the wifi network,,but says no internet connection,,,how can i rectify it???? everything is fine without a single error, I did what you mentioned. Even mobile can see the Hotspot and connects, but On computer access is showing internet and in phone nothing is happening ?? Its connected , shared but no internet. i have some problem actually. when i trying to connect with my android, it shows limited connectivity, what should i do?? um… the intended network to share isn’t appearing under the sharing options of the actual network’s adapter, Ethernet is rather the one appearing, the device i am trying to connect to the virtual adapter’s network is responding, “Your phone couldn’t connect to the Wifi network *networkname* because there was no response from the network. Pls try again later” how do i solve this? I have tried the steps to create wifi-hotspot. All the step goes well but at last my android shows that wifi is conected but no internet sharing happing between my laptop internet and andorid device. bro! how to change the password of wifi hotspot? Very Nice Post. Thanks for explaining it in simple manner ! the hosted network couldnt be started. the wireless local area network interface is powered down and doesnt support the requested operation ….what to do????????????? i hv created the network from laptop windows 8.1, also my mobile phone is connected to the internet, but it won`t browse, means i have no internet access through cell phone while i have access of laptop. any idea to fix it…. after everything is done and connected the system networking is showing no internet access to the conncected connected one ???? awesome dude! no need for third party software!